The latest set of statistics detailing Delhi’s air pollution has revealed that the Indian capital is smoggier than its Chinese counterpart for the second year running. 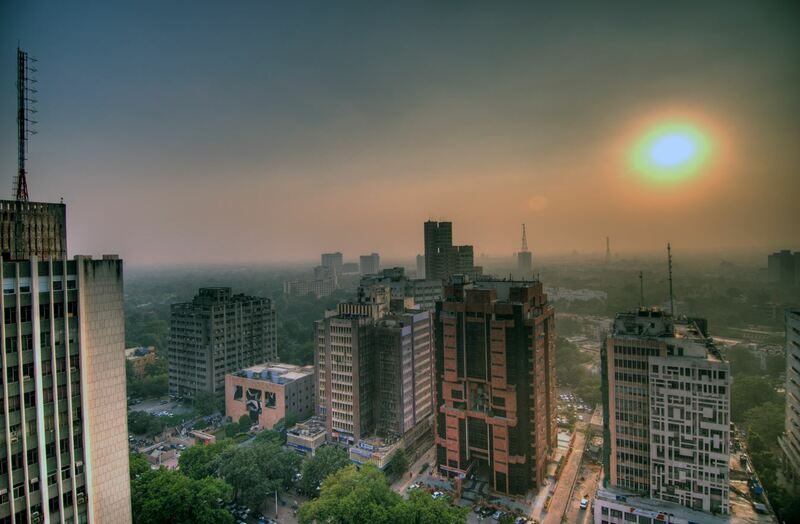 Using admittedly limited official figures, Greenpeace India found New Delhi’s air last year had an average of 142.9 micrograms per cubic metre of the pollutant particulate PM2.5 — which is over 50% more than the Beijing average. This reading is 13 times greater than the World Health Organisation’s annual recommendation, and 3.5 times that of the India’s air quality standard. Even the lowest average PM2.5 reading — 132 micrograms per cubic metre —recorded by one of the few available air monitoring stations in Delhi is well above the highest reading from a Beijing’s station (98 micrograms per cubic metre). The analysis also said that there were twice as many ‘bad’ air days in Delhi last year as there were in Beijing, and only a week’s worth of ‘excellent’ air where there were more than 100 days in the Chinese capital. According to the Chinese state, a ‘bad’ air day is one in which PM2.5 levels in excess of 150 micrograms per cubic metre, whilst an ‘excellent’ day means there’s been less than 35 micrograms. These findings echo a recent analysis by the New York Times that said Delhi air pollution has been 45% worse than Beijing over the past two years. Though last year’s average PM2.5 reading represents a slight improvement from the 153 micrograms per cubic metre in 2013, when Delhi was given the dubious honour of ‘dirtiest city in the world’ by the WHO, even greater strides have been made in China. The report says the city’s pollution problem has likely increased residents’ risk of lung cancer by nearly 70%, chronic respiratory disease by nearly 50% and ischaemic heart disease by a little more than that. Greenpeace’s Delhi data derives from the only three air monitoring stations for which historic PM2.5 data is available to the public. There are a total of 16 sites collecting data in Delhi, as well as the US embassy, but the Meteorological Department doesn’t archive, and half the stations run by the city’s Pollution Control Committee don’t monitor PM2.5. There’s also missing air readings for 56 days from last year. This is all pretty poor compared to Beijing, where 14 stations around the city provide annual data dumps, with no missing days — though there’s also an archiving problem in China. This data difference illustrates the countries’ contrasting anti-pollution policies. The Chinese government is taking serious steps to address its air pollution crisis by cutting coal, improving efficiency and introducing strict emissions limits, but India has no such plan of action. India’s coal-fired power plants are allowed emission rates 4-20 times as high as as those in China. The 2013 WHO report found in India 13 of the world’s 20 most polluted cities.